When it comes to travel, I’m not about looking for the cheapest, because years of world travel has taught me that I often get what I pay for – so when it comes to transportation and lodging, I may often be known to splurge, but when it comes to everything else, no bargain is too good to pass up, and free is often a great bargain. 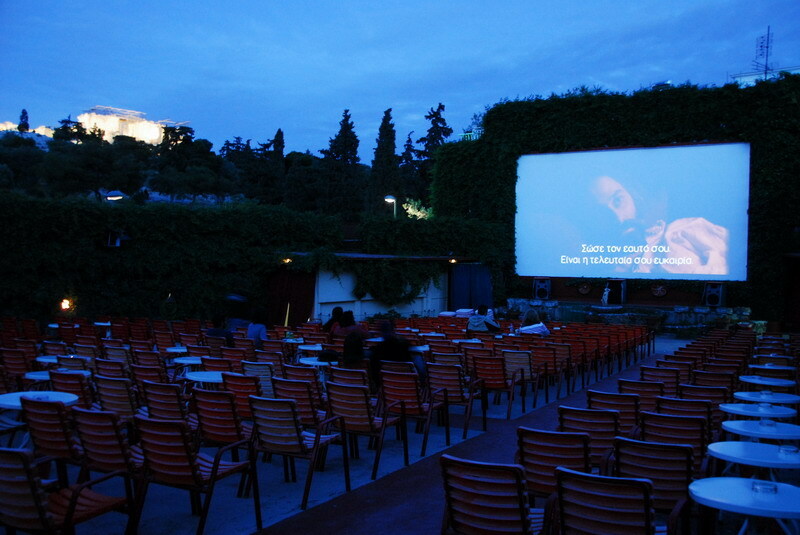 In fact when it comes to tourism I think that a ticket to the Acropolis is one of the world’s biggest bargains, 12 euro gets you to the top of one of the Acropolis, plus grants you admission to the Ancient Agora and Thission, South slope and Dionysos Theatre, the Roman Agora, Kerameikos Ancient Cemetery (my favorite “sleeper” site) and the Temple of Olympian Zeus, but many people don’t realize that Athens is full of lots of freebies as well. 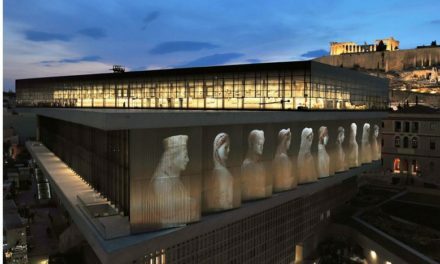 If you’re in Athens on a Sunday morning at 11 AM you can see the full production of the changing of the guard – complete with music and a very large marching band, but if not, you can still see the regular version of the changing of the guard any day of the week, at any time of the day. 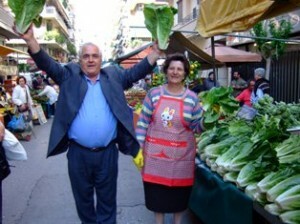 Check out your neighborhood laiki agora – outdoor market or the central market for fish and meat. And while these spots are free to roam about in, I can’t guarantee you will leave without spending anything since you are bound to get hungry around all that fresh fruit, fish and meat. In Pangrati there are outdoor markets on Tuesdays and Fridays (two locations on Friday) – all within a 15 to 20 minute walk from the Acropolis. The central market located on Athenas Street is housed in a fantastic building that underwent some extensive renovations recently. And although Greeks don’t generally talk about things being “north” or “south”, I’ve not yet lost that American habit, so for reference it is on the “east” side of the street, while the small, somewhat disappointing fruit and vegetable market is across the street, surrounding a sort of sad square with underground parking. The central market is a photographer’s dream. Between the characters selling meats, cheese, fish and seafood and the wares they are hawking, you will never be lost for something to shoot. The market buses from early morning to late afternoon and the bold will wander to the bank and find a table at one of the several restaurants inside the market (if you are really bold, try a bowl of patsa, or simply head in and look in the windows and steam table for the special of the day. There are a couple of places that have a nice selection of small fish plates along the walkway at the back of the market. For the best of fruits and vegetables I encourage you to leave this area and head for one of the neighborhood farmer’s markets (laiki agora). You will find a fantastic selection of herbs and spices on the outside of the main meat market as well as along the side streets surrounding it. And olives? Well, Greeces has too many types to list, but you find them all both at the central market and at the neighborhood laiki agora/farmer’s markets. 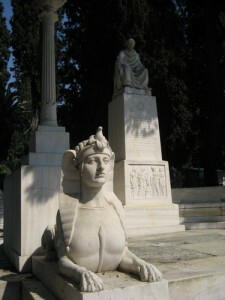 Take a stroll to one of Athens finest outdoor sculpture gardens and pay your respects to some of the country’s most famous Athenians in the Athens First Cemetery. This is truly an amazing place – someday I’m going to publish a map for it. For years I’ve been slowly compiling it and if we ever catch up with everything else we have on our Athens To Do list, I’ll put that map on the blog so you can easily find whoever it is you’ve come to visit. 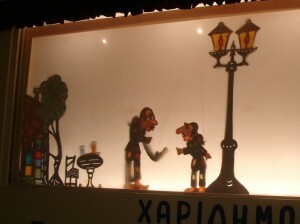 The Haridimos Shadow Puppet museum and workshop, located about 3 minutes by foot from the Thisseio metro station, is housed in a former hat factory along with the Melina Mekouri Cultural Center. The shadow puppet collection represents three generations of shadow puppetry in one family and if you are fortunate enough to visit when Sotiris Haridimos is there, you’ll have a fantastic private tour and maybe even a mini presentation on the almost dying art of shadow puppets (though if Sotiris continues his work, he will ensure that he passes his skills on to a new generation, as his father and grandfather did before him). During the school year if you phone ahead you can perhaps plan to visit at a time when a Greek school group is visiting and you’ll be treated to a full length performance. 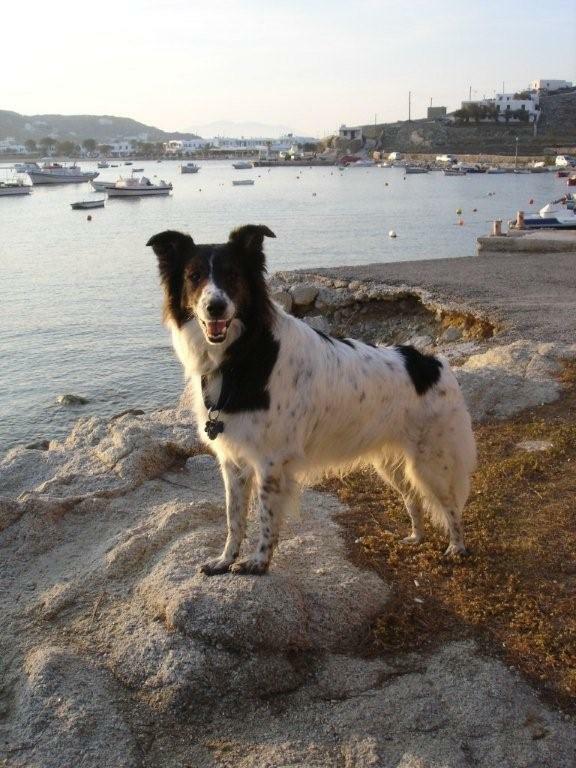 A hike up Lykavittos, Scruffy takes on Athens Chic Peak!